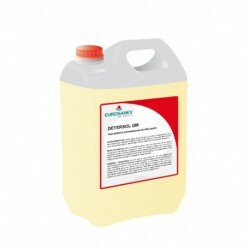 The DETERSOL RT stain remover and fabric restorer is a product specially formulated for industrial laundry that restores the fabric's whiteness. 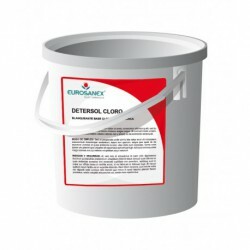 This stain remover is suitable to restore the whiteness of stained, yellowing or very dirty fabrics. 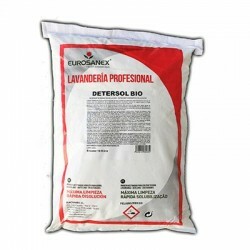 It is specially formulated to remove stains that have resisted several washes, and can also be used to neutralize chlorine remains after bleaching. 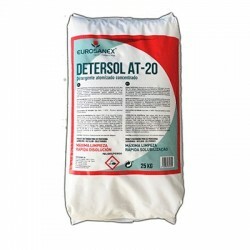 Dilute DETERSOL RT at a rate of 20 gr. per kilo of dry clothes or 10 gr. per liter of water in a soak bath of 60 to 80 Â° C for 30/60 minutes. Leave it act and rinse with plenty of water until complete elimination of product remains. Perform theÂ treatment in ventilated rooms to avoid direct inhalation of vapors. The recovery process can also be performed in an automatic washing machine, applying the same dosage per kilo of laundry and temperature. In this case, perform at least two rinses.